In another post, we talked generally about adjusting injection timing. We focused primarily on advancing timing, though, and the benefits and risks that is poses to your engine. In this article, we're going to take a look at other reasons you might need to adjust the timing on your engine and looking specifically at what you might need to do to adjust your ISX timing. Injection timing is literally when fuel is injected into the cylinders for combustion. Depending on what type of fuel system you have, the timing is controlled by different components. Injection timing is a delicate operation, and having it programmed incorrectly for whatever reason (system failure, overcorrection, etc.) can negatively impact your engine. Optimal timing assists in fuel economy and engine power, and it also reduces your emissions. Manufacturers try to find the balance between engine power and emission regulations in their factory timing settings, leading some to want to advance the timing for increased power. Should I Bother Adjusting My Engine Timing? In short, yes, situations may arise where you may need to fix an injection timing problem in your engine. Poor timing can significantly reduce your engine efficiency and cause misfires, among other problems, so it's important to the health of your engine to ensure that your injection timing is accurate. When done correctly, adjusting your timing, especially advancing it, can improve your fuel efficiency and engine power. This can increase emissions, however, which is something to be aware of. If pushed too far, advancing could also cause damage to pistons and other components, so it's always something to handle with care, especially if you are doing it yourself. Other times, you might need to adjust the timing because of a rebuild or injector replacement. When timing gears or other key components have been removed during repairs, you want to make sure that everything is put back and positioned properly for optimal timing. Otherwise, you might not get the same benefits from the repair that you were hoping for. Refer to your owner's manual for manufacturer recommendations on timing following a repair. Sometimes, timing might be off due to a failure somewhere in your engine. You'll not only want to fix whatever caused the failure, but you'll also want to ensure that injection timing has been set back to its optimal position to maintain proper engine performance. Again, in any situation, adjusting injection timing should be handled with care and caution. This is especially true when it's not in response to necessary maintenance or repairs, as you don't want to accidentally harm your engine as you try to improve its performance. Within the ISX model engine line, there are multiple specific service models associated with this engine that have different fuel system types. Therefore, there is no one way to adjust the timing on every Cummins ISX engine. Rather, it depends on what service model name you have, so it's important to know your specific application before you try to adjust the injection timing. Many pre-2010 ISX engines are dual-cam applications with unit injectors. The timing on these is controlled by the injector camshaft. In some, such as the ISXCM870/871, a timing and meter actuator controls the mechanical injectors, a unique design in the new electronic control engines. To adjust the timing in a dual-cam engine, you'll need several specialized tools, including timing wedges to ensure you're getting the correct angle between the camshaft and the crankshaft (if it's the camshaft that's negatively impacting your injection timing). Other engine models might require adjustments to the fuel pump or the actuator. A bad actuator could be causing problems to the timing of your ISX, so it would be good to check if the component needs cleaning or replacing. In 2010, Cummins released a new ISX model that utilized common rail injectors to better adhere to emission regulations. In this system, the injectors draw fuel from a rail where it is kept at a constant, high pressure. This is a single-cam application, so the ECM controls the injection timing. This allows for a small amount of fuel to be injected into the cylinder before the main injection event to help optimize timing and fuel efficiency. Because of this change in system, you can't adjust the timing in the same way. 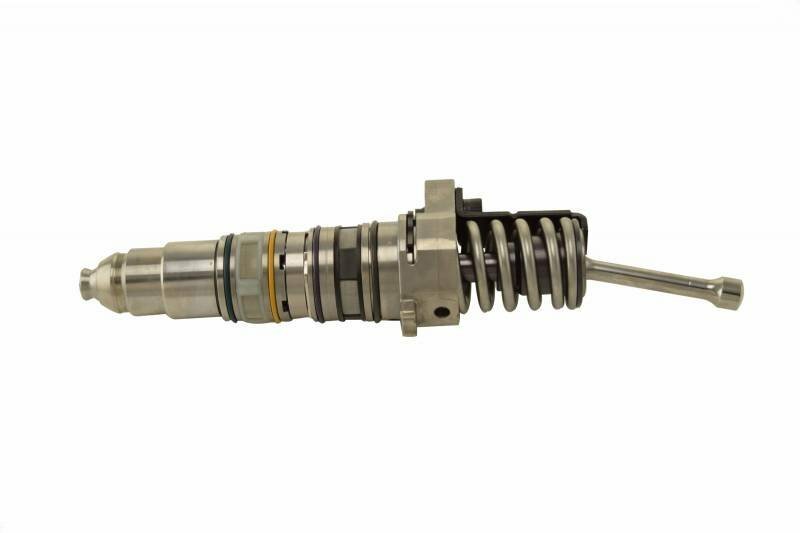 With injectors controlled by the ECM, you can't manually adjust components to alter when injection takes place. Instead, you have to purchase the necessary software and equipment (or take it to a mechanic with access to it) to hook up to the ECM directly. From there, you can check the timing and reprogram it to where it needs to be. It's becomes a much more computer driven fix than in earlier applications. This post is not meant to be a how-to guide on adjusting your injection timing. Instead, we hope to inform you a little more on what you might be seeing in your engine and why it might be a good idea to adjust the timing. For specific information on your engine application, please be sure to consult your owner's manual or mechanic. For any additional questions about your ISX injectors or diesel engine parts in general, please give our certified techs a call at 844-215-3406. Don't forget that you can also request a quote online.